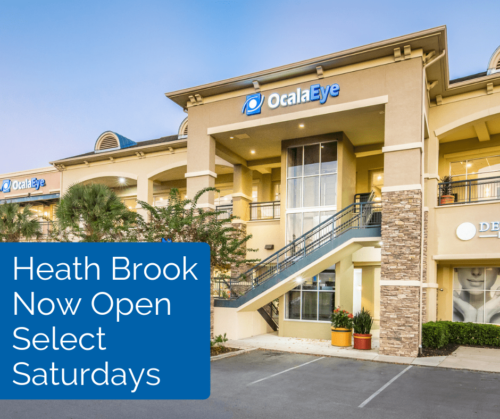 Heath Brook Location Open Select Saturdays in Dec. and Jan.
To better serve our patients, our Heath Brook location is offering Saturday hours this month and into the new year. Saturday services include walk-in eye exams, optical services, and aesthetic services. For questions or to schedule a Saturday appointment, please call (352) 622-5183.